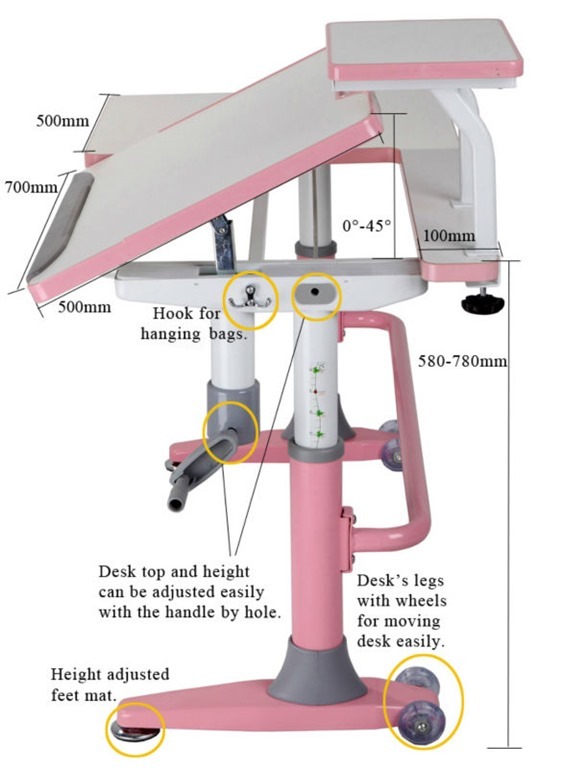 Main desk top can be tilted easily by the handle. Desk and chair are adjusted easily by ROTATING shaft handle clockwise or anticlockwise. 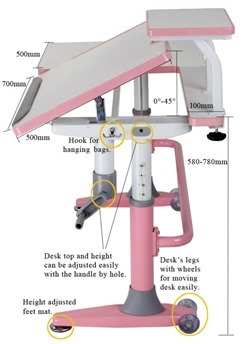 There are reference card for the height of the desk. 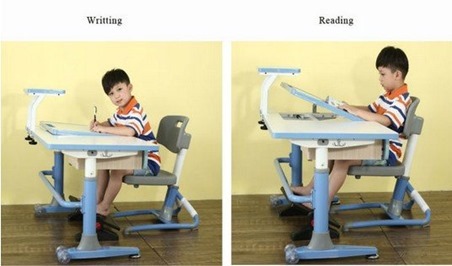 Desk’s legs with wheels easy to move desk. 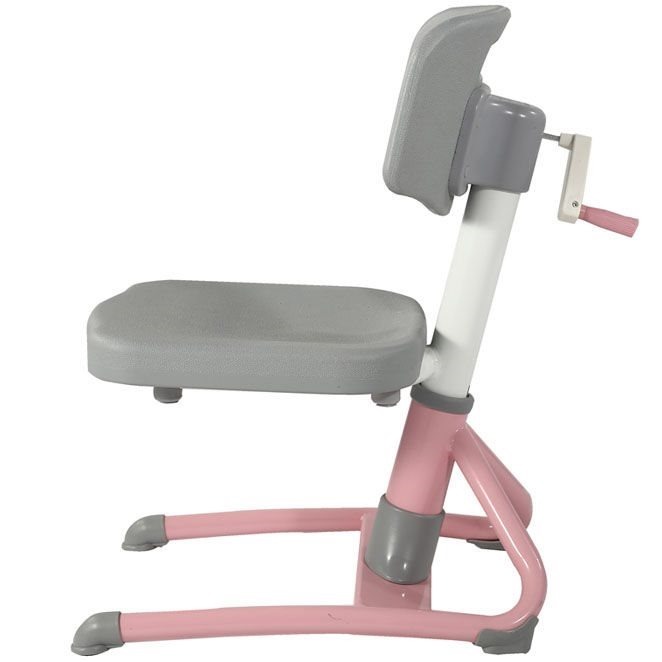 Easy to move chair by the handle on the chair back. 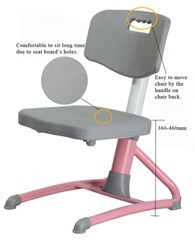 Chair seat board has small hole so that it’s comfortable to seat for long time.